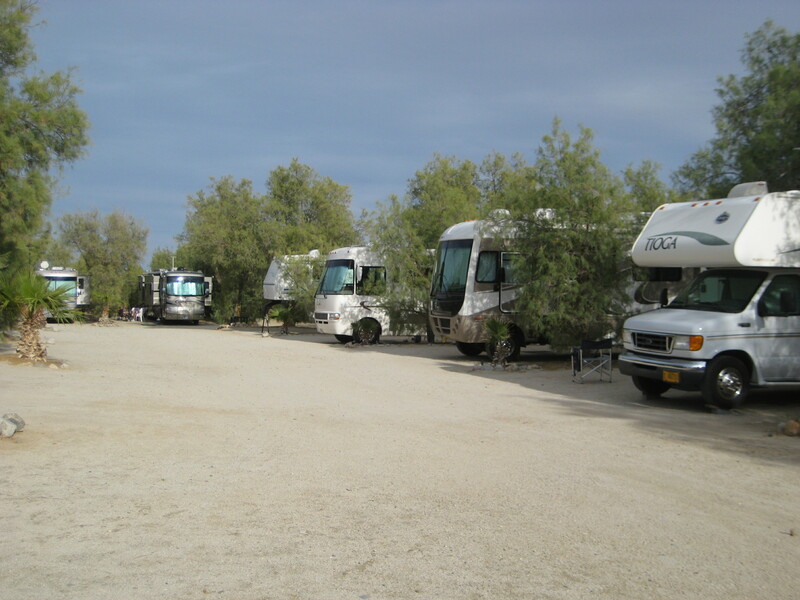 For our guests that don’t have an RV or do not want to use their own, we have onsite rental trailers. 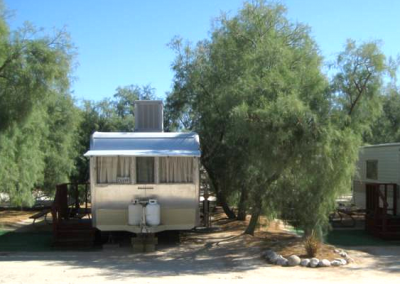 This allows our non-RVers the opportunity to enjoy our facility and the surrounding area. 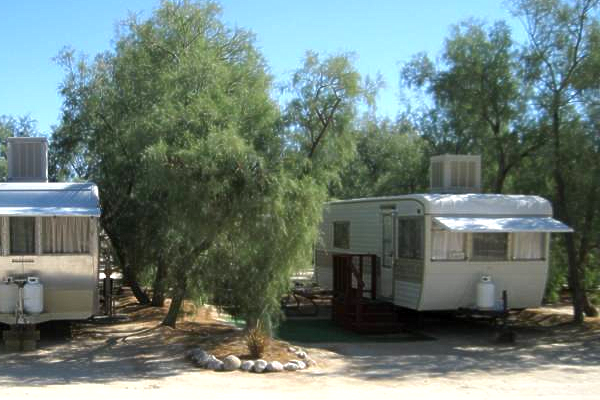 We have made it our mission for you to enjoy the comforts and activities of a vacation at an RV resort in the middle of a desert and right next to two state parks that will give you access to all the things that are most beautiful in our country. RENTAL TRAILERS are available for day, week or month. Clean and comfortable, they are furnished and ready to enjoy. 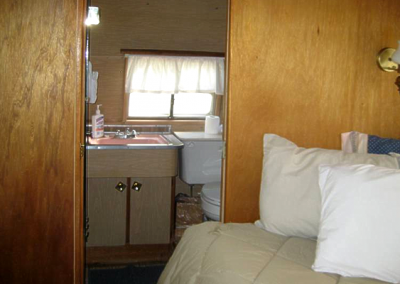 Trailers have a bathroom with a shower, stove / oven, refrigerator, microwave, coffee maker and cookware / dishes. Linen included or bring your own. 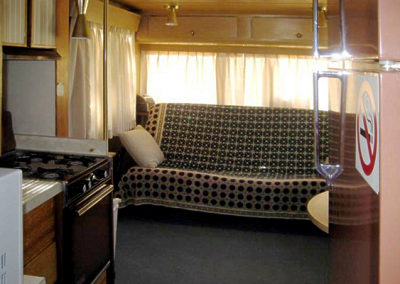 Air Conditioner and electric heater keeps you comfortable. 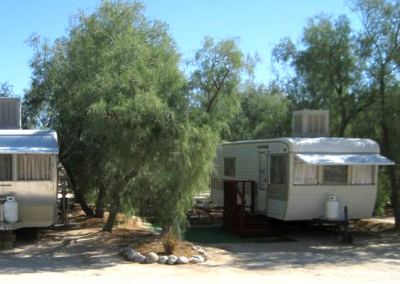 Picnic table and fire ring on rental site. No T.V. or radio included. Parking for one vehicle at site. One pet allowed on approval only (extra charge). 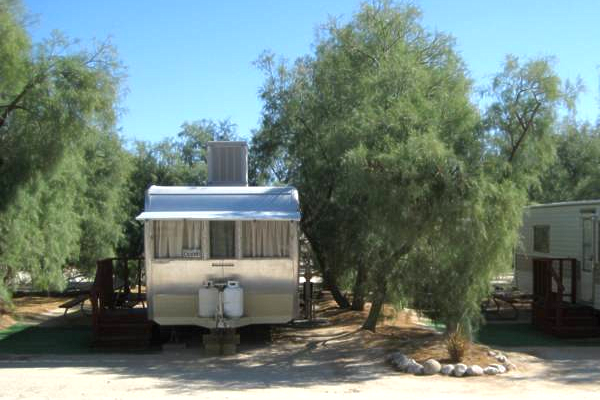 Rental Trailer rates are for 2 persons and 1 vehicle. Reservation and Deposit required. Extra charges: A charge of $5.00 per extra person per day applies. A $5.00 a day charge applies for pets (1 pet maximum). Rates are for 1 vehicle per site, extra vehicle is $5.00 a day. 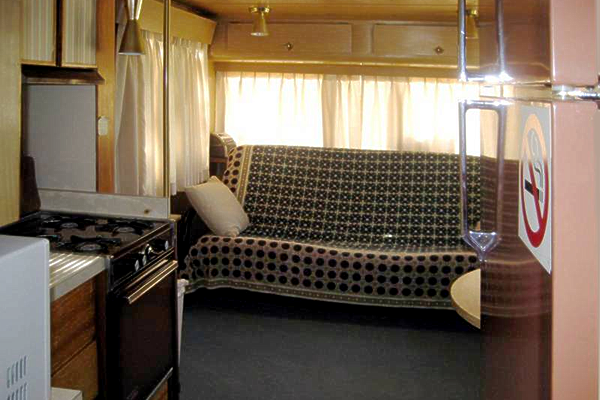 Dennis – Holds 1-4 people comfortably, is 29′ long with a spacious interior, double bed and futon couch. 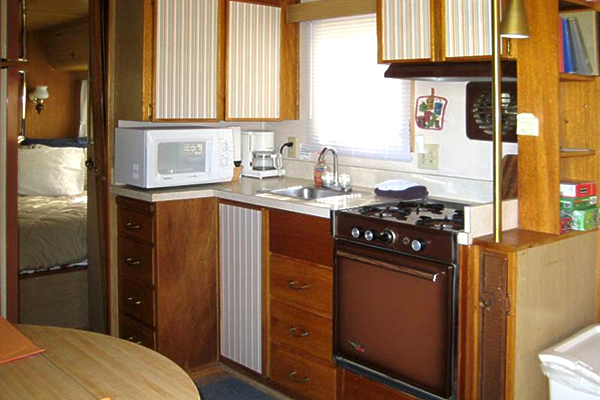 It also has a refrigerator, microwave, stove & oven. Here is a gallery of our RV rentals – this is “Dennis”. If you wish to view the full gallery in a larger sized format, click on any picture in the gallery. 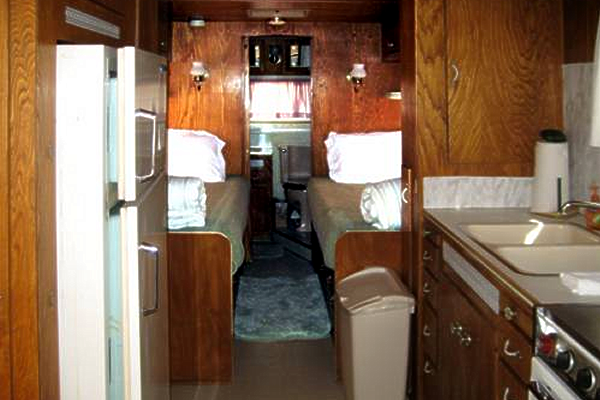 Lucy – Holds 1-2 people comfortably, is 25′ long with dark wood interior and twin beds. 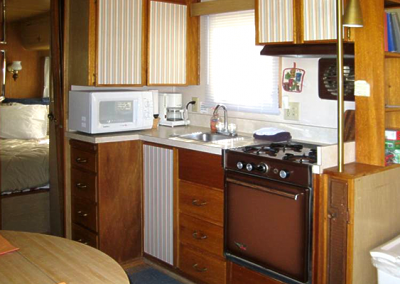 It has a refrigerator, microwave, stove, but no oven. 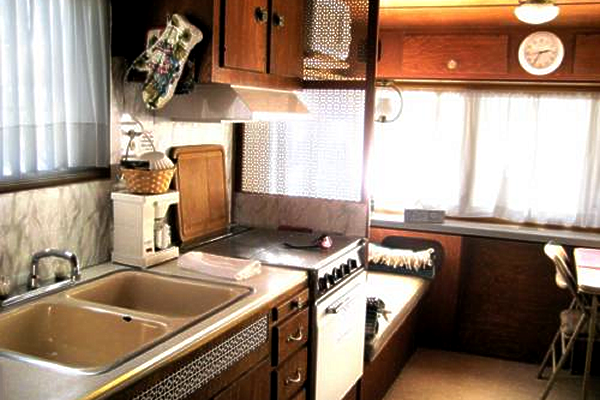 Here is a gallery of our RV rentals – this is “Lucy”. If you wish to view the full gallery in a larger sized format, click on any picture in the gallery.